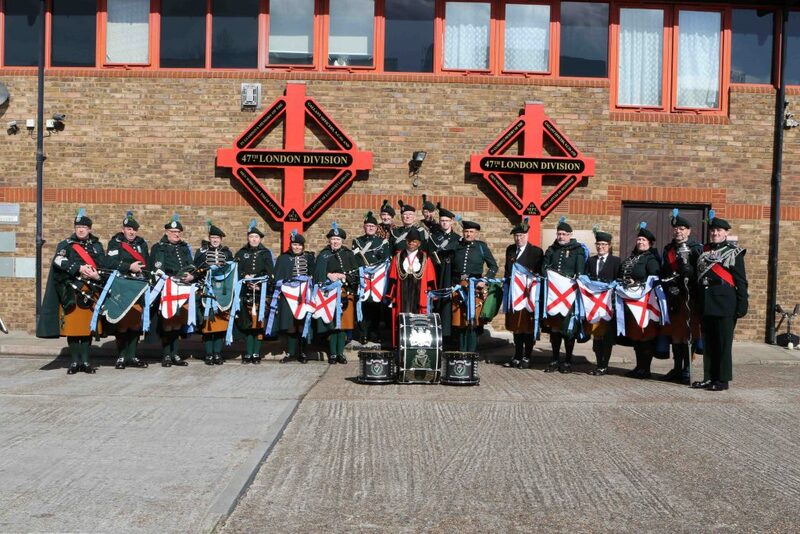 From the time of its formation in 1906, the Pipes and Drums formed an integral part of The London Irish Rifles, before coming under the umbrella of the Regimental Association in 1969. The Pipes and Drums perform annually at the ceremonies of St Patrick’s Day, the Combined Irish Regiments’ Parade, Loos Sunday and Remembrance Sunday. In addition, they support London Regiment events, including the Lord Mayor’s Show, and along with The Pipes and Drums of the London Scottish, have taken part in Public Duties at Buckingham Palace. 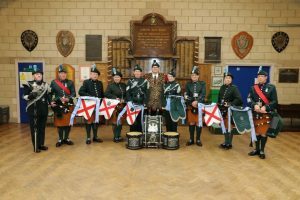 For those who would like to join the London Irish Association Band, particularly those who can already play the pipes and drums, Band Practice is held on Friday evenings at Connaught House. To find out more, you can contact the Band President, John Fallis. You can also find a Facebook page for the LIR Pipes and Drums by following this link. You can read about the Band’s history in “The Pipes and Drums of the London Irish Rifles, 1906 – 2006”, written by George Willis and George P. Willis, and this is available for purchase from the Museum, now for £10. Watch Pipe Major Williams play a Westminster Cathedral in November 2018. A Listing of Band Members over the past 112 years can be found here. 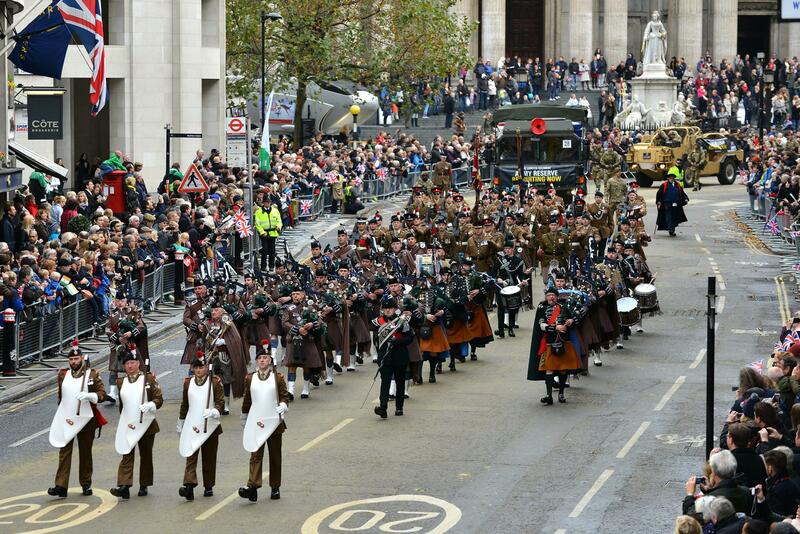 Lord Mayor’s Show, November 2014. Beating the Retreat – June 2012. Members of the Pipes and Drums took part in the Annual Beating The Retreat Ceremony in Horseguards Parade on 13 and 14 June, 2012.